CDC is on the forefront of building facade engineering application of BIM software, allowing our Clients to comply with current project BIM requirements. CDC's application of BIM includes clash detection between facade elements and surrounding construction, and overall coordination between the structure and other trades. 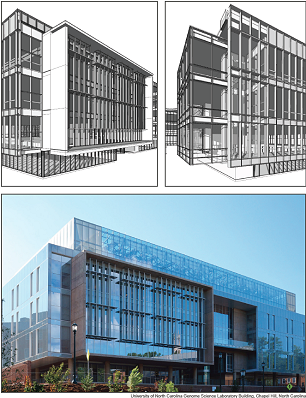 We can also translate the 3D facade system detailing into part fabrication drawings for manufacturing applications.